Benjamin Cummings. Hardcover. 0132499118 Item in good condition. 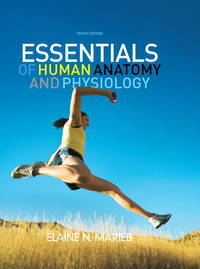 Textbooks may not include supplemental items i.e. CDs, access codes etc... . Good. Benjamin-Cummings Publishing Company, 2012. Hardcover. Good. Disclaimer:A copy that has been read, but remains in clean condition. All pages are intact, and the cover is intact. The spine may show signs of wear. Pages can include limited notes and highlighting, and the copy can include previous owner inscriptions. The dust jacket is missing. At ThriftBooks, our motto is: Read More, Spend Less. Benjamin-Cummings Publishing Company, 2012. Hardcover. Acceptable. Disclaimer:A readable copy. All pages are intact, and the cover is intact. Pages can include considerable notes-in pen or highlighter-but the notes cannot obscure the text. At ThriftBooks, our motto is: Read More, Spend Less.Dust jacket quality is not guaranteed. Benjamin Cummings, 2011-01-01. Tenth. Hardcover. Good. Book Leaves in 1 Business Day or Less! Leaves Same Day if Received by 2 pm EST! Cover has some wear, mostly corners and binding. Good. Benjamin Cummings, 2011-01-01. Tenth. Hardcover. Good. MULTIPLE COPIES AVAILABLE!! 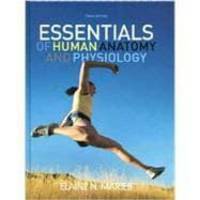 Benjamin Cummings: Essentials of Human Anatomy and Physiology, Student 10th Edition [Hardcover]. Copyright-2011, ISBN:0132499118. These books are in GOOD/SOLID condition with the interior pages and binding blocks fully intact, and only MODERATE wear to the exterior cover! We ship daily, Mon-Sat. Customer service is always our top priority! Please contact us at 888-475-1077 to reach our customer service team!! Benjamin Cummings, 2011-01-01. Hardcover. Good.